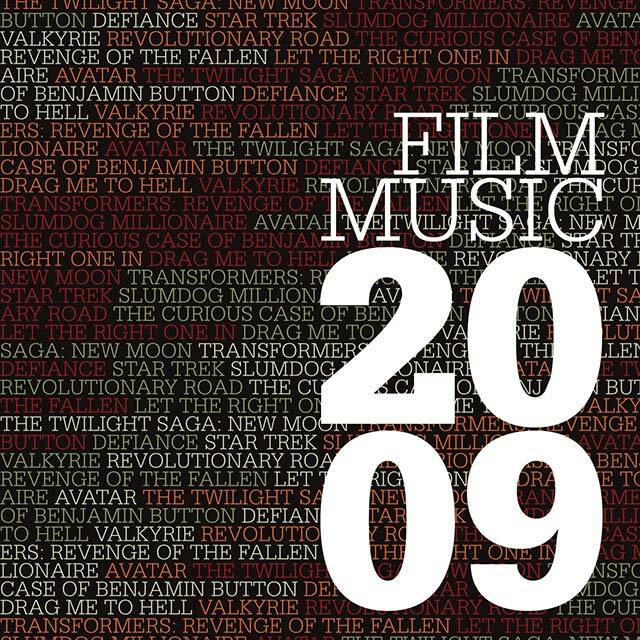 Film Music 2009 is the third instalment in the new annual “Year Book” concept from Silva Screen. Constantly brought up to date, Silva Screen’s repertoire of film music spans a century of scoring achievement. Snapshot of the best on offer in a cinematic music 2009 year, the 11 track collection features A.R. Rahman’s Latika’s Theme from Oscar / BAFTA winner Slumdog Millionaire, Alexandre Desplat’s The Curious Case Of Benjamin Button, James Newton Howard’s painfully sad, violin led The Exodus from Defiance and James Horner’s epic War from Avatar. Other highlights include Johan Soderqvist’s Eli’s Theme from Let The Right One In, Christopher Young’s dazzling End Credits from Drag Me To Hell and Alexandre Desplat’s yearning piece The Meadow from Twilight: The New Moon.